When Turtle Rock teased an Evolve announcement for today, I assumed it was a set-up for Evolve II. Call me cynical, but that’s often how the industry works nowadays: Screw up the first go-round, then catch them back on the second. Destiny did it. Titanfall’s doing it. 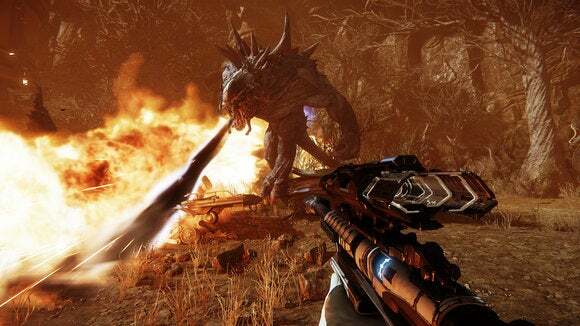 “When Evolve launched, the reception wasn’t what we expected. Sure, there were some good reviews. There were also bad reviews. Yes, there was excitement. There was also disappointment – for players and for us. The DLC #%&!storm hit full force and washed away people’s enthusiasm, dragging us further and further from that first magical pick-up-and-play experience. If Turtle Rock truly wants to salvage Evolve then free-to-play is probably a smart move, as I can’t imagine many people were still playing prior to today. The “DLC #&$!storm,” as the news post puts it, certainly didn’t help, though there were also problems with the longevity of the actual game. Supposedly Turtle Rock is addressing those too. There’s a lengthy section about upcoming changes, including reworked trapper/medic roles to make them easier to play, more customization options (cosmetic free-to-play items I’d guess), and a new progression system. And for those who’ve already paid for the game? Or paid for the game’s ludicrously over-priced DLC? So that’s that. 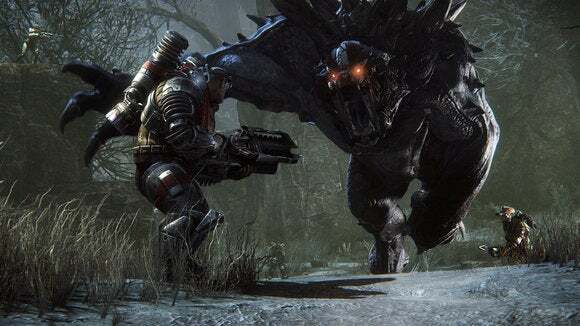 I don’t know whether Turtle Rock will successfully save Evolve, nor if it can reposition the narrative around the game from “shameless cash grab” to “consumer-friendly funhouse,” but I’ve got my fingers crossed for them. As I said up top, they could’ve easily written it off and sold everyone on an Evolve II instead. Color me pleasantly surprised by today’s announcement.